This drawing tutorial will be devoted to how to draw Peter Griffin – the protagonist of the animated series “Family Guy”, the head of the family. 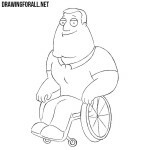 Peter is of Irish descent, lives with his family in Quahog, Rhode Island. 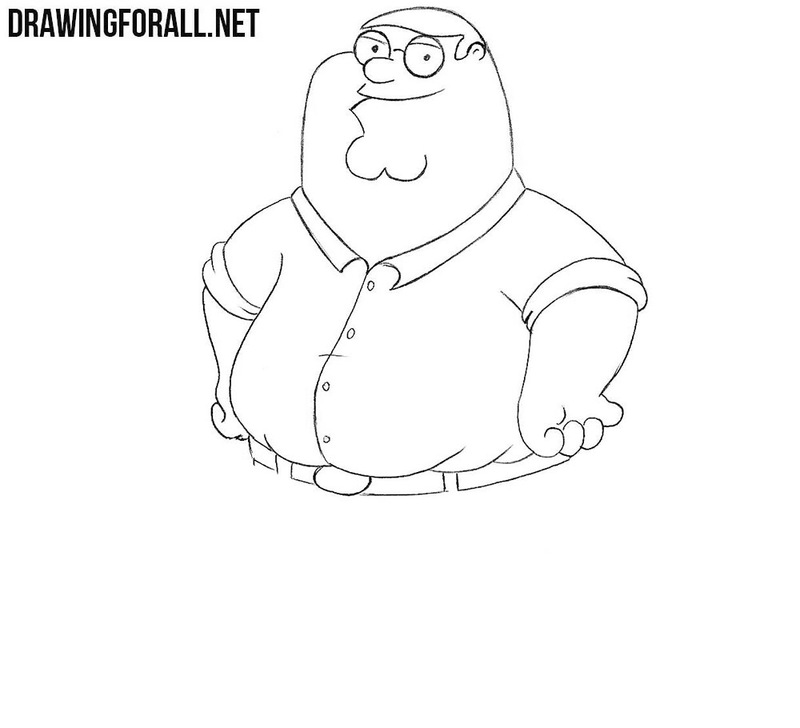 Peter is portrayed as a very rude and not very smart character. His favorite pastime is sitting on the couch and watching TV. 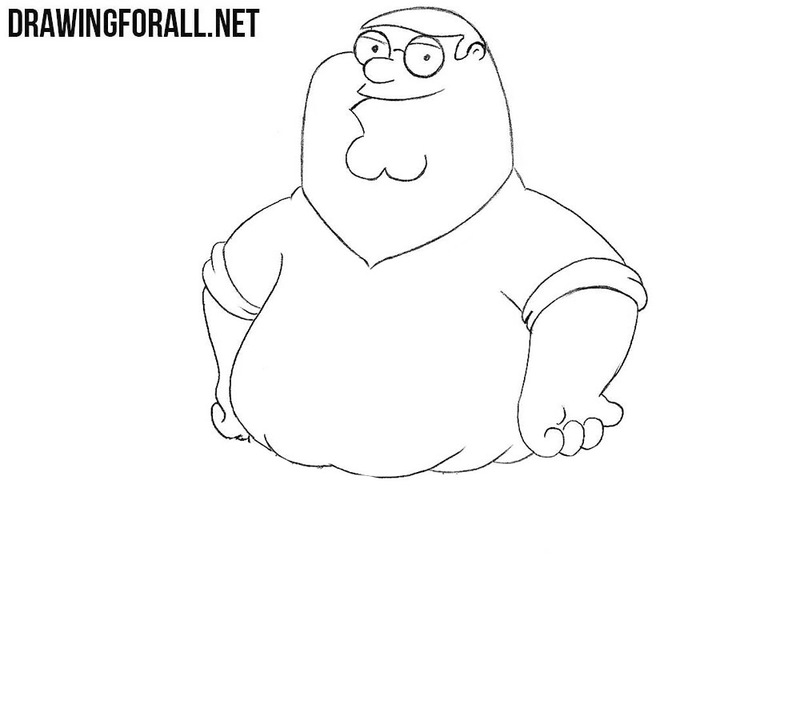 But it’s probably not the stupidity and idiocy of Peter, but his unconventional thinking, since he shows us the ingenuity, resourcefulness and clarity of mind in his idiotic endeavors. 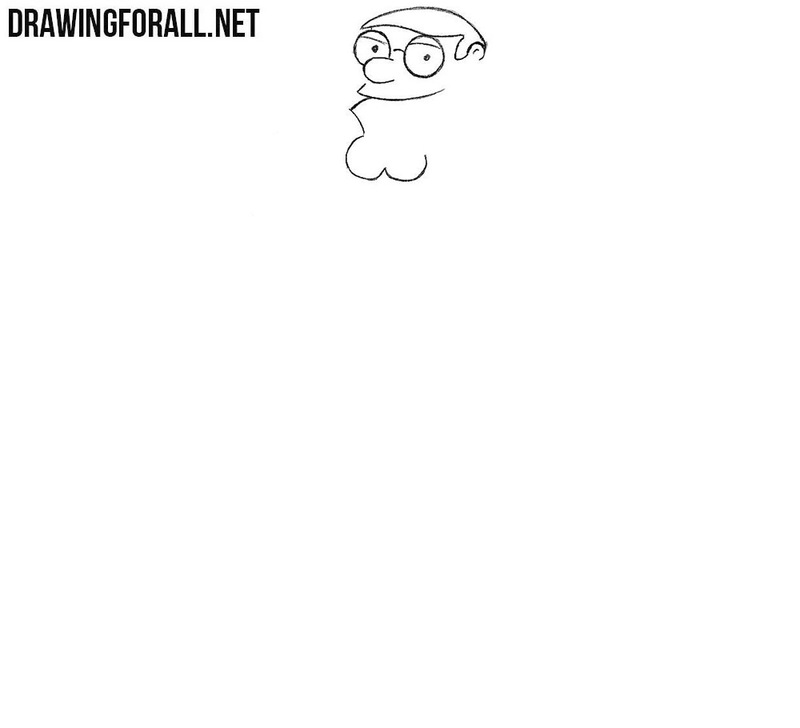 First of all draw round eyes, connected by a shackle of glasses and a rounded nose. Now draw out the eyelids, pupils in the form of dots, a hair and a small ear. We move down a bit and draw a smiling mouth and a big chin in the form of a bone. Now we draw the outlines of a large face flowing smoothly into the neck and the top edge of the collar. 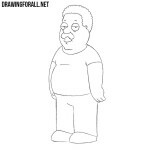 Draw out the outlines of the shoulders and sleeves as in our example. Draw big hands and fingers. Draw the bottom of the shirt and the outlines of the folds. Add a few details – the collar, front placket, buttons, belt and belt loops. Now draw out the lower part of the torso and legs in pants expanding downwards. And the last step in which we draw the rounded shoes of Peter Griffin. 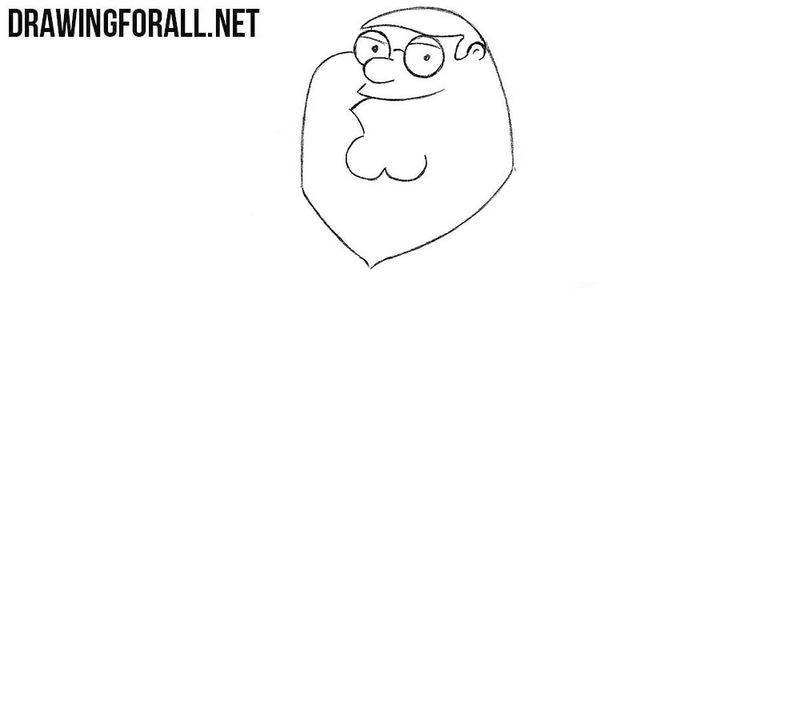 Today we showed how to draw Peter Griffin – one of the most charismatic and funny characters not only from the series Family Guy, but in general from the all animated series. 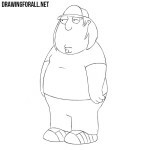 And of course, Peter Griffin is not the only character, about which we creaded a drawing lesson. 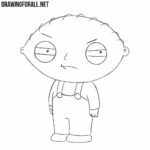 On our site there is a huge number of different characters, so go to our category “Cartoons” to learn how to draw.